I survived the first one, and I barely survived the second one. But I lived to see another day after yet another legendary Meatluck two weekends ago hosted by my friend Joel. Meatluck 2.0 was bigger and everyone seemed to have raised the bar since the last one. By the time I had arrived, tables were already laid out with about a dozen different dishes, and more food continued to arrive as the night wore on. I would be lucky if I even managed to get through half of the dishes that were there! Among the dishes that I did manage to try, I especially loved the brisket cheesesteak wontons, the sweet potato and squash sheppard’s pie, and a fabulous creamy chicken pasta pasta dish. I also really enjoyed Andrew’s oxtail ragu (so tender! 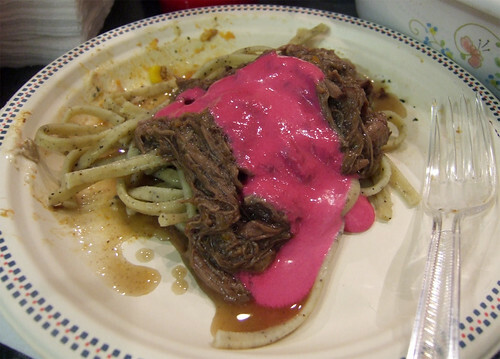 ), which was served served with lemon-pepper pasta and beet crème fraîche—the mystery "pepto-bismol." The highlight of the evening though was definitely the desserts. Yes folks, meat can be incorporated into desserts (the British did bring us mincemeat pies) and it is delicious! 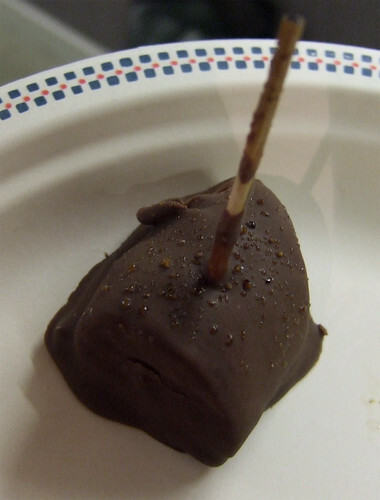 Chocolate-covered peanut butter banana with bacon, sprinkled with habanero salt! Brown sugar cake with candied bacon and maple-bacon frosting, in the shape of a pig! 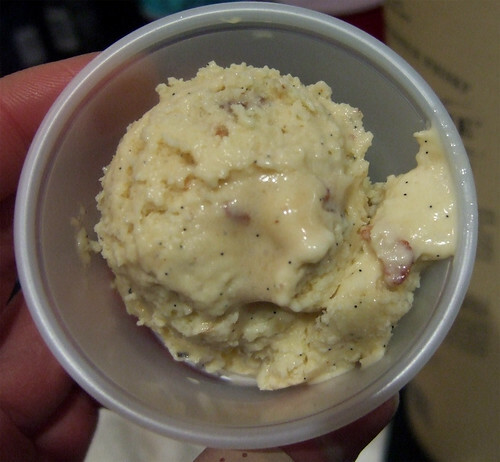 Bacon praline vanilla ice cream! Yes, I was in heaven! Unfortunately I didn't have a chance to take as many photos this time around as I was too busy talking and eating. Needless to say though, after that much food and wine, I was in a lot of pain for the majority of the next day. But it was so worth it! And it's always lovely to be in the company of such talented people, and to have a chance to catch up with my friends and meet new faces. This time around, I was assigned a side dish and after bouncing around a few ideas in my head, I settled for my mom’s wild rice stuffing recipe. It’s my mom’s go-to recipe every holiday season, as our family doesn’t do bread stuffing, and packs a lot of flavour into the dish. 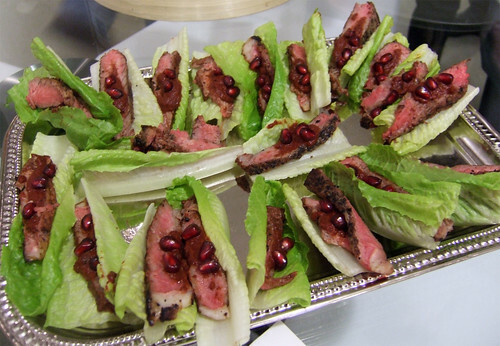 With American Thanksgiving and Christmas just around the corner, I thought this recipe was only fitting. 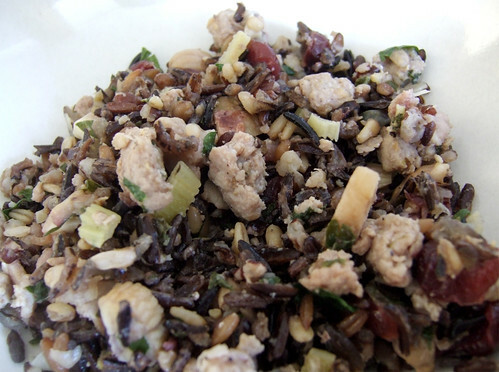 I like to do a mix of half wild rice and half multigrain rice to make it healthier, but feel free to use brown rice as the recipe suggests. Any pork (or even turkey) sausage will do, so choose something that you like. I like to use a fruit-based sausage, like Gaucho’s apple or apricot sausages. Toasted chopped walnuts or pecans can be used as an alternative to chestnuts. 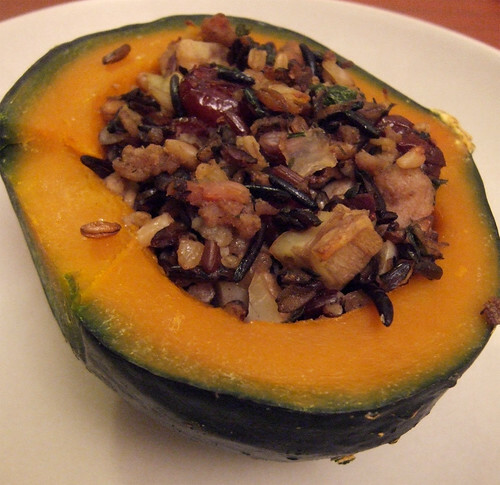 The stuffing is great stuffed into turkey or chicken, stuffed and baked in a squash/pumpkin shell (as pictured) or on its own! Wild Rice Stuffing with Sausage, Chestnuts and CranberriesMakes a lot! Heat a little olive oil in a large wide pan over medium heat. Add the chopped bacon and cook until crispy, about 8 minutes. 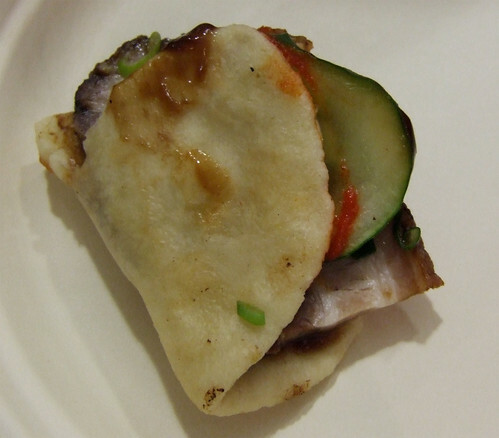 Remove the bacon pieces to a plate with a paper towel to help drain the excess oil. In the pan with the bacon fat, add a little more olive oil and add onions and garlic. 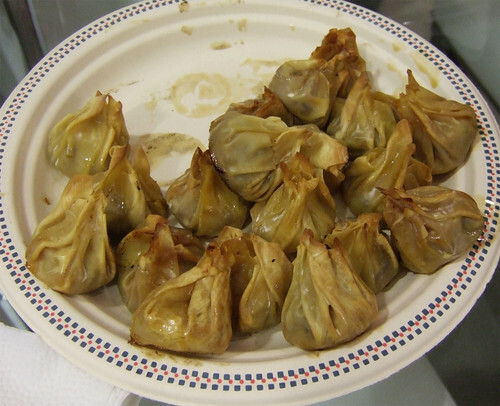 Cook gently until soft and golden, about 7 to 10 minutes. Stir in the thyme & parsley. Remove the sausages from their casings and crumble them into the pan. Stir and break down the sausages into smaller pieces, until sausage is nearly cooked, then add the celery and mushrooms. 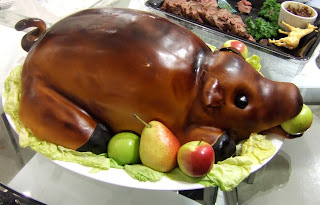 Let it cook until softened, about 8 minutes. Add the cooked and cooled rice, chestnuts and cranberries and toss everything together until heated through, about 5 minutes. Season with salt and pepper. 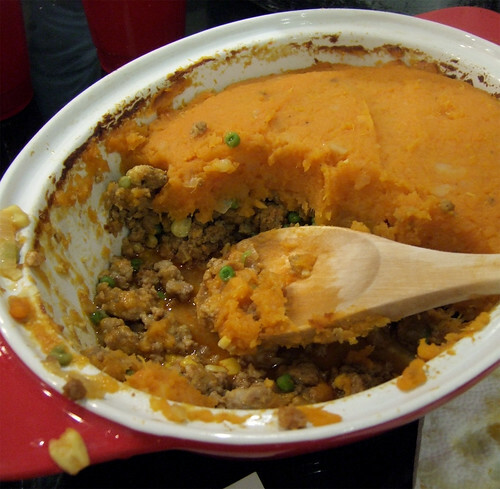 Remove the pan from the heat and set aside to cool if using as stuffing, or serve immediately as a side dish. Danielle November 30, 2010 at 5:51 p.m.
hahha omg! That is AWESOME!